Michael Russell aka “iron mike” is and always will be the hardest working guy on and off the tennis court. He is a professional in every aspect of the game and I’m proud to call him not only a friend but someone I can look up to and model my worth ethic after. Thankfully, at the beginning of my career Mike was competing and helping mentor us younger guys on tour. Off the court, he has a great personality and was really able to show how to balance a great life on tour and how to be a better person. I’ve had the privilege of playing with Mike for the better part of 8 years. We’ve practiced a million times together and of course have squared off against each other in tournaments on many occasions as well. You’d be hard pressed to find anyone that put more into their craft than Mike. The way Mike worked off the court mirrored the way he played on the court; 100% commitment and intensity at all times. He had an unbelievable career in one of the toughest professional sports there is. Given Mike’s work ethic, there’s no doubt he will find success off the court now that his playing days are over. I’ve known Mike Russell since I looked up to him in junior tennis on the courts of Kalamazoo. 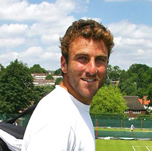 He continued to be someone I looked to as a model of professionalism all my years on the ATP tour. One of the highest compliments I can give any tennis player is that they got the most out of their physical talents and that is easy to say about Mike. He worked as hard as anyone on the court and when he wasn’t there, he could be found in the gym or studying other opponents. He was always my first source for a player I was unfamiliar with. He had an attention to detail that makes him a perfect candidate for a world class coach. 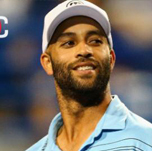 James Blake, Former ATP Tour World Ranking #4, Member of U.S. Davis Cup Championship Team, 10 ATP Singles Titles, Harvard University All-American. I have been fortunate enough to be friends with Mike since we played against each other in the 12 and under Zonals in Lansing, Michigan over 25 years ago. Mike is one of the most impressive people I have ever come across. His commitment to excellence, work ethic, moral compass, positive attitude, and natural talents have enabled him to be incredibly successful. However, he is an even better person than he is an athlete. I feel blessed to count Mike as a friend. He is loyal, thoughtful, and incredibly generous. I know Mike will be incredibly successful in whatever endeavors he pursues after his tennis career. Mike was the ultimate professional; he worked unbelievably hard. He can happily look back on his career knowing that he did everything he could to be the best player he could be. Everybody on tour loves being around Mike and he was possibly the most hilarious and nice person in the locker room. With that said, Mike competed ferociously and he’d come back from being way down in matches countless times. Bob and I were lucky to grow up and travel the world playing junior tournaments alongside him. You could see early on that he was going to make it by his sheer tenacity and work ethic. While rooming with him at tournaments in the juniors, he’d be done with 500 sit ups and a five-mile run before I’d even woken up. I definitely think this rubbed off on me and I have him to thank for helping me be a better player and person. 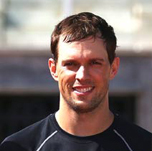 Mike Bryan, ATP World Ranking #1 Doubles, 16-Time Grand Slam Champion, Olympic Gold Medalist, 2-Time NCAA Team Champion, NCAA Doubles Champion, Stanford All-American. Michael Russell possesses everything I would look for if I were a parent seeking to send my son or daughter to a facility in order to develop their skills as a tennis player but also to mature as a person. For years I watched with such respect and admiration as Michael competed on the ATP tour. He is a humble, hard working professional and has impeccable character and I know that he will instill all of those values in the students he works with. In addition to his incredible work ethic I have been impressed with Michael’s ability to provide me feedback on players. 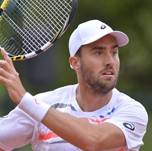 He has a natural ability to break down a match and explain what he sees on the court. He clearly loves the game and has a tremendous eye for the technical, fundamental, and mental aspect of what is happening on the court and is able to effectively communicate it with others around him. 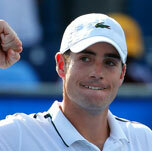 I am thrilled to learn that Michael is going to stay in the game and work with the future of American tennis. Having the opportunity to work with Michael is a tremendous opportunity for anyone. 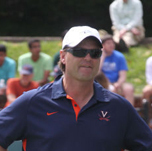 Brian Boland, University of Virginia Men's Tennis Head Coach, 2-Time NCAA Team Champion, 10-Time ACC Champion, USOC National Coach of the Year. As Mike was my best friend on the ATP Tour, I’m very excited that the next stage of his life will be about sharing his knowledge with young people. I saw on a daily basis and learned many skills from Mike that are required to become a successful human being on and off the court. Mike possesses the skills to not only teach young people how to play better tennis, but how to carry themselves on and off the court. Mike was and still is a true professional and he will do his very best to help each and every one of his students. I highly recommend him to not only teach your child how to become a better tennis player, but how to become a better human being. This is most important as these life skills attained will carry on for the rest of your child’s life. 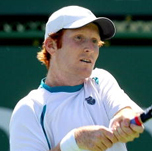 Todd Widom, Owner and Director of TW Tennis, Former ATP Tour Player Top 200 Ranking, University of Miami All-American.